Colombia's President Iván Duque during his presentation to the IAPA Midyear Meeting. Miami (April 2, 2019) .- The acknowledgment of responsibility of the State of Colombia to the family of a journalist murdered 21 years ago, seven murders of journalists in the last semester, the signing of the Declaration of Chapultepec by the President of Colombia, Iván Duque, as well as the serious violation of the fundamental freedoms in Cuba, Nicaragua and Venezuela and the existence of regulatory bills to the exercise of journalism in other countries, were the topics highlighted in the Conclusions of the Midyear Meeting of the IAPA that culminated last Sunday in the city of Cartagena. Within the framework of celebration of the 25th anniversary of the Declaration of Chapultepec there was held the Public Act of Recognition of International Responsibility which before the family of journalist Nelson Carvajal Carvajal was presented by the government of Colombia and it constituted one of the central points of the Midyear Meeting of the Inter American Press Association in Cartagena, Colombia. 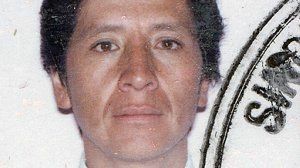 The investigation and follow-up of the murder of the journalist of Pitalito, in the Colombian department of Huila, which occurred in 1998, was made thanks to the perseverance of the IAPA and the support of the Robert F. Kennedy Human Rights and John S. and James L. Knight foundations. Colombia's Deputy Foreign Minister, Adriana Mejía, and presidential Human Rights Counselor Francisco Barbosa offered public apologies and admitted international responsibility in representation of the government before 18 members of the Carvajal family, as determined by the ruling of the Inter-American Human Rights Court on March 13, 2018. IAPA President María Elvira Domínguez declared before those attending that "this act represents the influence, the effort and the perseverance of our institution in concrete matters and how the Declaration of Chapultepec, and its Article 4, have required us to work for press freedom, for the right to life and justice." 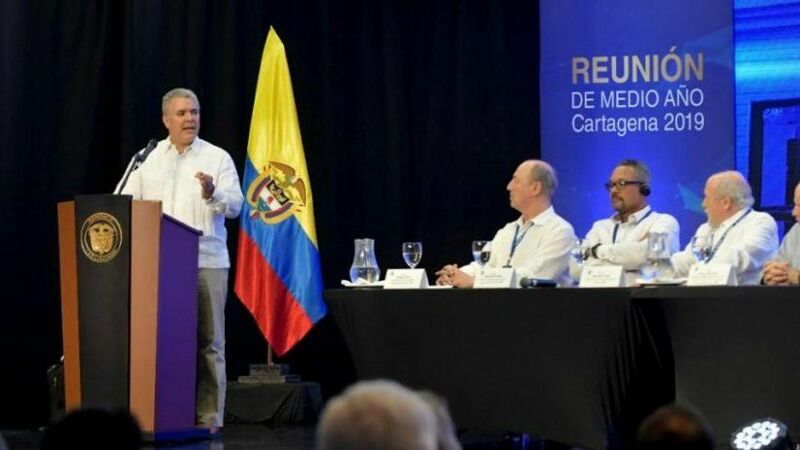 The president of Colombia, Iván Duque, who signed the Declaration of Chapultepec, praised the independent press and stressed the commitment of his government to protect not only the integrity of journalists but press freedom and the free flow of ideas. It is sad that, as in each half-yearly meeting, there continues the paying of homage to journalists murdered in the hemisphere. The Committee on Freedom of the Press and Information reported that since October 2018 seven murders had been committed, six of which were in Mexico and one in Honduras. There were expressed criticisms of the system of protection for journalists in Mexico, while the UN High Commissioner for Human Rights, Michelle Bachelet, in a message to this meeting stressed the responsibility of governments to implement measures of protection. It was pointed out that in Brazil, Colombia and Paraguay investigations have been reopened in six cases of murder of journalists. Special attention was given to the limitations of fundamental freedoms in Venezuela, an issue that was raised in a panel discussion in which there participated Organization of American States Secretary General Luis Almagro, among other experts in human rights and the press, and also addressed by the interim president of Venezuela, Juan Guaidó, in an audiovisual message. The official strategy in Nicaragua and Venezuela is similar. There was denunciation of the robbery and vandalism of media installations, seizure and destruction of journalists' work equipment, withholding of production supplies and arbitrary detentions. The situation of the press in both countries constitutes a crisis in the region; IAPA members appealed to journalists and local and multilateral authorities to continue denouncing the magnitude of the abuses and, especially, call for the release of journalists Miguel Mora and Lucía Pineda of Nicaragua's 100% Noticias. The repression of journalists continues in Cuba, as do prohibiting several journalists from leaving the country and the seizure of equipment. The stigmatization of and insults against the press, generated by public officials and disseminated on social media, are creating a hostile atmosphere for the press and inciting violence against journalists and media in Brazil, Guatemala, Honduras, Mexico and the United States. The obligatory professionalization of journalists does not stop disappearing in legislation. In Colombia there is moving ahead a law to reinstate the professional license and in Ecuador there was maintained the rule in the already approved amendment of the Communication Law. In the legal and judicial area there exist obstacles to and restrictions of the practice of journalism, such as the imposition of electoral content and propaganda that is evidenced in Bolivia, the Dominican Republic and Uruguay, the lack of laws on access to information in Puerto Rico and Barbados, while there continues the use of penal regulations and million-dollar lawsuits that aim at dissuading journalists in Panama and Argentina. In Canada, Argentina and the United States there exists the tendency to go after journalists for them to reveal their sources. There also exist attempts to regulate digital communication and the flow of information on social media, impose the right to oblivion under various circumstances and to establish rules on the use of personal information, aspects that could result in a trend towards censorship in Argentina, Chile, Colombia, Costa Rica, Peru and Ecuador. In addition there are noted with attention the regulatory initiatives against "false news" that are under discussion in Colombia and Costa Rica. These matters demonstrate the validity of the principles contained in the Salta Declaration, approved by the IAPA General Assembly in October 2018, regarding freedom of expression and of the press in the digital area. The IAPA president made a commitment to promote this declaration through a campaign of dissemination with the support of the organization's members. In the face of so many denunciations what is encouraging is the official effort to combat certain unpunished cases on the part of the Colombian justice system. In addition to compliance with the act of reparation with the Carvajal family there was reopened the investigation of this and another four cases of murder of journalists. Similar rulings were issued in Paraguay and Brazil. At this meeting there remained in evidence the economic crisis affecting independent news companies throughout the hemisphere, there having been provided some tools, the analysis and strategies of economic models, knowing that the economic health of a media outlet is essential to preserve independence and to make good journalism.